Ahead of European legislation introducing Euro 6 on 31 December 2013, RGF Logistics Ltd have taken delivery of their first Euro 6 vehicle. The Scania G445 6×2/2 CG19 High Line will operate out of RGF’s Head Quarters in Garrett’s Green, Birmingham and will join the fleet of over 60 Scania vehicles. So what are benefits of making the move to Euro 6? Firstly there is no compromise on the style and comfort of the truck for the driver. Scania cabs already have the cooling capacity needed to facilitate the Euro 6 engine so no adaptions on cab structure have been required. Secondly, and probably most importantly to operators like RGF Logistics Ltd, is the balance between fuel economy and the performance of the truck. Proven EGR and SCR technologies are combined to provide optimum performance in all market segments with fuel savings of up to 2 percent. RGF’s decision to move towards this relatively new technology shows their trust in Scania and Keltruck; trust that has been built up over 20 years. Founded in 1969, RGF Logistics Limited have celebrated over 40 years service in the haulage and distribution industry. The company, founded by Richard Ford, was known originally as Richard Ford Limited, though it has been recently re-branded as RGF Logistics Limited. 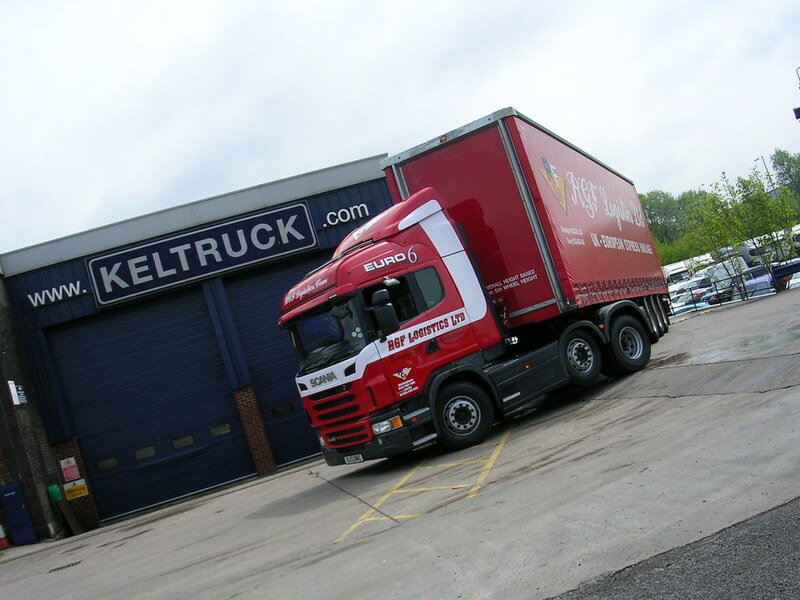 The business is still privately owned to this day, and has built up a worthy reputation as one of the UK’s high quality hauliers.